When this becomes first thing you do after you wake up, you accomplish so much more than flat blankets and straighten pillows. First, you immediately achieve a goal; the very first thing that happens during your whole day is a success. Secondly, though it might sound dramatic, you've ordered chaos. What was a mess is now straight and clear. 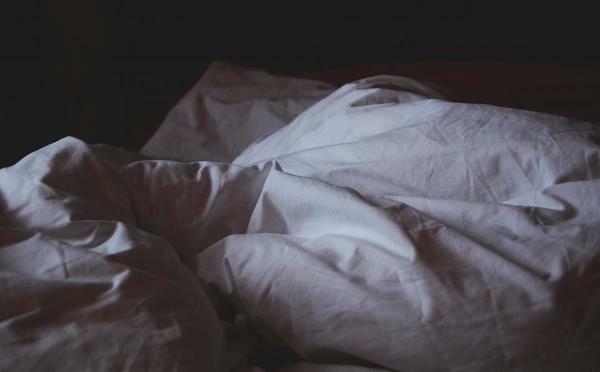 Looking at an an unmade bed all morning is a distraction; it makes you feel like you have more on your plate than you actually do. Just eliminate the craziness first thing. For the record, we're not talking hospital corners here. Just smooth out the sheets, square your blankets or comforter, and place the pillows neatly at the head of the bed. Grab any water glasses or other messiness from your bedside table, and process it. Sure, you can use it as an alarm clock (if you must), and perhaps an appropriate morning app, like a guided meditation (see below). But do not, for any reason, check your email, text messages, voicemail, Twitter or Facebook within the first hour of your day. The idea is the same as making your bed. Our smartphones have become a constant deliverer of new things you have to do. Messages to respond to. Work emergencies. Lifestyle sharing. Current events and news stories you now need to process. There is absolutely no reason to add all of that input to your load the second you wake up. All that information will still be there when you're alert and ready to deal with it. If you shower in the morning, do it as soon as you can. Then, or if you're a night time bather, get dressed now. The longer you spend in your pajamas (or, let's be honest, boxers and yesterday's t-shirt), the slower your day will begin. Lounging around in your bathrobe is for weekends only. 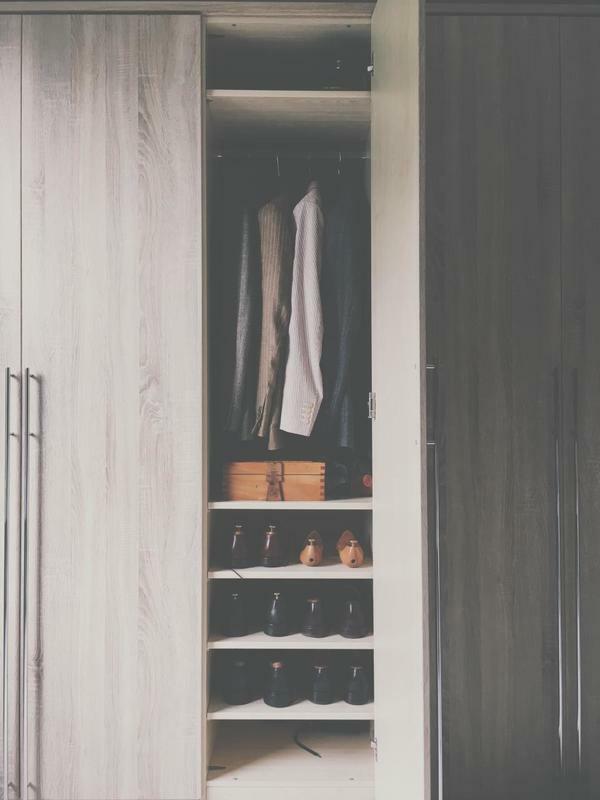 Getting dressed ASAP will motivate you to begin your day, making it feel as long as possible. You do not have to be good at meditating to do it. You don't even really need to know what to do. You simply need to sit. And, until you've developed a practice, it need not take any more than ten to fifteen minutes. Just find a quiet space, and work on mindfulness. Clear your head. Notice things in your body. Don't think, just be there. Now that you've centered your mind, move onto your body. This is not a workout. It's an opportunity to make your physical self more present and improve your mood. Jumping jacks are just fine, as are pushups, or some quick crunches or pull-ups. Everybody you look up to has their own personal, consistent morning beverage routine. Whether it's a detailed pourover coffee scenario, a flavorful tea combo like the Earl Grey Foglifter, or a simple mug of hot water with lemon, this is a treat you give yourself as you face the day. Coffee shops are awesome, but they're for mid-morning breaks, not a daily routine. You'll save money, sure, but more importantly, you'll save time. Writing without a specific end in mind accomplishes three things: it gets your creative juices flowing, it gets you into a clean, problem-solving state of mind, and it can help you get excited for the day. Do not do this on your phone, your tablet, or your laptop. Just. Start. Writing. On paper. In effect, this will help you get over the negative beliefs and fears that inhibit the creative process. If you start writing with the idea that the outcome doesn't really matter, you'll be better prepared for when it actually does. Start with your hopes for the day. Start with things you feel grateful for. Start with things you like about yourself or your life. If you absolutely can't get into this one, you can draw or doodle. Work on some hand-lettering skills, make a mind-map, or express some feelings. Just get that ink flowing. Breakfast skippers are fools. You don't have to eat the second you wake up, but you do have to eat a morning meal. If you can, skip the carbs and begin your day with some protein, fat, and good-for-you vitamins. (There's a reason eggs have been the go-to breakfast dish for hundreds of years). This is still my go-to breakfast, but anything that keeps your blood-sugar levels low and makes you feel full works. "If you start and finish three significant things in a reasonable amount of time, that's a pretty good day." This is probably the single greatest thing I've given myself. Don't be fooled; It doesn't mean these are the only things you'll do today. You still have to clear your inbox and communicate with your co-workers and and exercise and text your mom back while you fold the laundry. You still need to show up for your schedule events. But these are about how you use your unstructured time. If you actually set out and complete three substantial items in a day, you've been pretty productive. The best news: all of these can take place in well under an hour, shower included. And if you successfully complete nine things before you even head out the door, imagine how productive the rest of your day will be. How do you use your mornings to motivate yourself to get things done? Share your commitments in the comments below. I have seven of the eight down pat already. Need to write a daily diary with a fountain pen I'm going to make as I create handmade pens. While I agree that a freshly made bed is nice, I would suggest instead turning your sheets down neatly instead. Make the bed all the way, then fold the sheets and blankets down twice. This lets the mattress and sheets air out; your bed will smell nicer and your sheets will feel cleaner longer. I don't do half of these... I should really give this a try. Thanks for the good read. It peeked my interest of what I do daily for a morning routine and really got my head going about what I could do around this place. I just start to day just doing my best to be thankful because sometimes we have a tendency to take things for granted. I am thankful for my Job because it helps me not only pay my Bills but it gives me a reason to get up. I look at folks on the Subway and I know that many of them are going on Job Interviews in which they get Job Offers with Salaries are much lesser than they should be given. I am thankful I have a Home, when so many folks are Homeless and that I can eat Three Square Meals Per Day when most people can't. That I have people who love me when there are people who don't have anyone. @Tracy - Thanks so much. We hope you have great mornings! I loved reading this blog. It was so informative. I thought I was the only one who was fanatical about making a bed. Although I don't have time to meditate I will look into some blogs that may be able to help me. You're very helpful. Thank You! @Gibson - that looks like an IKEA Malm bed to me. Thanks! 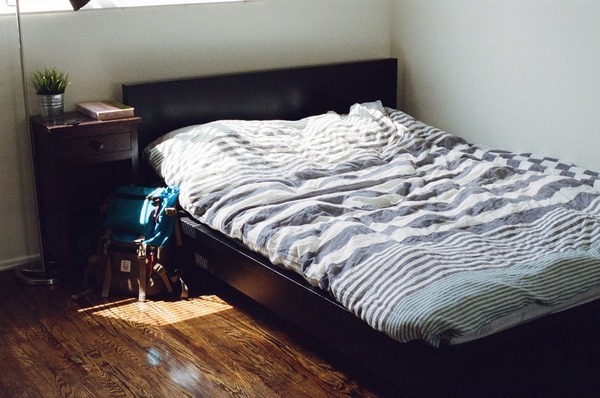 What bed frame is that from the article?